RAND Europe provided research and analytical support to the 2014 Healthy Company Index competition in South Africa, which aims to identify South Africa’s Healthiest Company. CNBC Africa interviewed Chris van Stolk about the results. There is increasing acceptance and evidence that health and well-being at work can have profound impacts on individuals, organisations and societies. 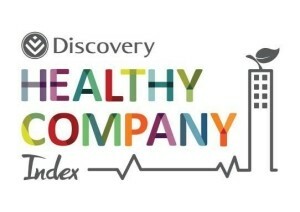 Discovery, a leading healthcare insurer in South Africa, is concerned to increase awareness of this, given their position as one of the main providers of evidence-based diagnostics of employee wellness in South Africa. A central component of this strategy is the 'Healthy Company Index' (HCI) which has been running for several years. HCI is Discovery’s flagship competition in South Africa, and contributes to the range of studies that Discovery conducts to promote healthy lifestyles. In HCI awards are given to companies in different size categories for the healthiest employees and work environment. The competition is run on the basis of company surveys. Results of the 2014 competition are available at www.healthycompanyindex.co.za. A PDF of the final report is also available for download. Discovery commissioned RAND Europe, in partnership with the University of Cambridge, to provide research support to HCI for 2014. RAND Europe’s work included designing the surveys, analysing results, and providing customised reports to participating companies. The 2014 survey included more than 10,000 employees from over 50 companies. To better understand how the workplace can be used to change employee lifestyle behaviour. To grow the number of companies that engage with the wellness of their employees. To assess the productivity impact of lifestyles and chronic diseases. Sick leave and working while unwell costs companies, on average, 7.78% of their yearly wage bill. Using ONS statistics, this translates into an estimated total cost of lost productivity to the UK economy of over £58 billion per year. Nearly two thirds (62%) of respondents reported at least two bad lifestyle habits that put them at serious risk of future ill health. 87% of British workers have a Vitality Age older than their actual age, with an average difference of nearly four years older. (Vitality Age is a health-risk-adjusted age calculated using PruHealth's unique algorithm.) Nearly one in seven people (13%) have a Vitality Age more than eight years older than their actual age. Employees tend to be overly-optimistic about their current state of health; one third (33%) of employees have three or more risk factors but, of these employees, over half (58%) believe they are in “good” or “very good” health—meaning they are less likely to have the motivation to change bad habits. About one in five employees (19%) suffer from at least one lifestyle-related chronic condition such as heart disease, diabetes or high blood pressure. 52% of respondents don’t eat healthily enough or don’t have a balanced diet; 67% of these respondents have no motivation to change their eating habits. Nearly two in five (39%) are impacting or have impacted their health through smoking; three in five smokers (60%) have no intention of stopping any time soon. Over a third (36%) are not exercising enough; 33% of these do not want to exercise more. One in five (20%) are overweight or obese with an unhealthy body composition based on BMI (body mass index); 16% of these respondents do not want to lose weight. Nearly one in five (19%) drink too much alcohol; 93% of these have no motivation to change their drinking habits.